The European Space Agency (ESA) together with the Galileo Teacher Training Programme (GTTP) are organizing a unique workshop for teachers. Participants at this workshop will have the chance to explore innovative ways to use space science and astronomy in the classroom to engage students in the sciences. Teachers attending will be presented with a diverse workshop programme consisting of practical sessions, and lectures from ESA experts. Participants will also find out more about ESA Education activities and resources, as well as the latest from ESA space science and astronomy missions. In addition, participants will have the opportunity to network with their peers from across Europe. There is no fee to participate in the workshop. 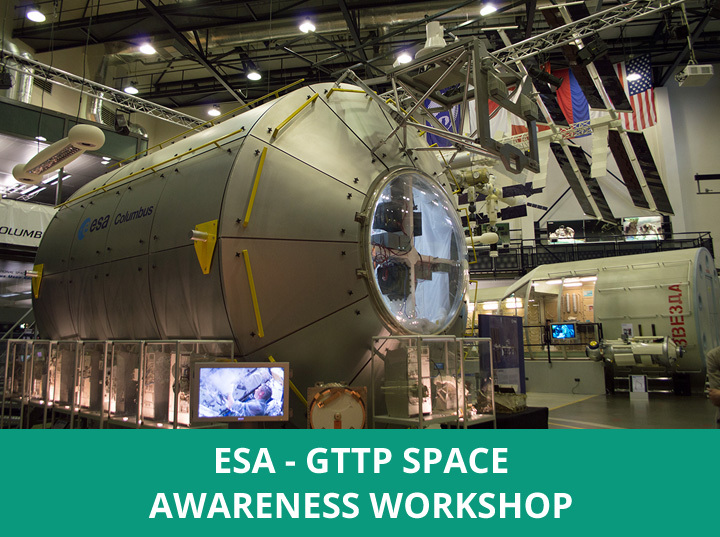 ESA will arrange and sponsor the costs of hotel accommodation for 4 nights, local transport from the hotel in Noordwijk to/from ESTEC, lunches and refreshments for all participants during the workshop, as well as one social dinner. In addition, up to 200 euro per participant will be available towards travel expenses and will be reimbursed after the workshop. Participants are expected to cover the costs of evening meals, with the exception of the social dinner. Support the meaningful collaboration between teachers of the same school. A whole new way of assessing your students!